The addition of sand gives the color and structure to the ceramic. By choosing the location of the sand, each product gets it’s own identity. 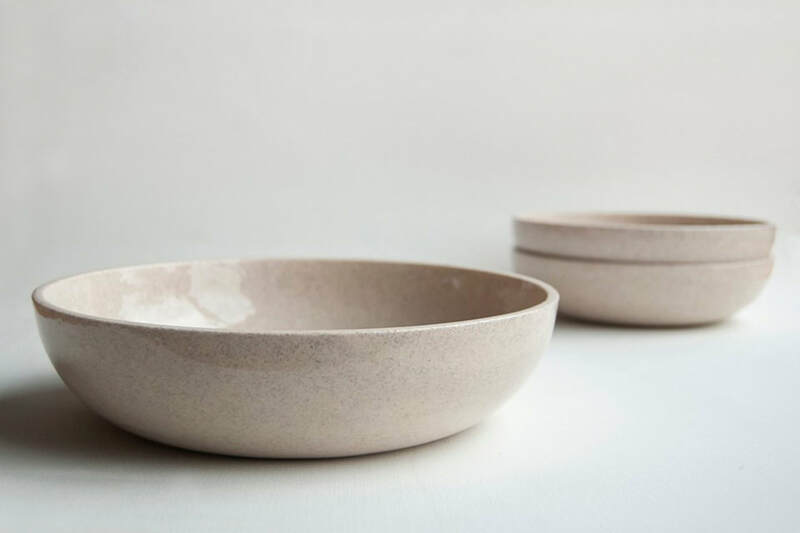 Depending on the batch the bowls could get small differences in the color and structure.